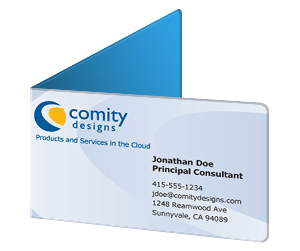 If you are seeking business card that stands out from the crowd, let Printingblue do the job for you. 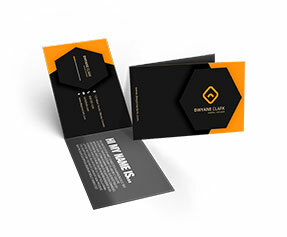 We offer premium quality folded business cards with a crease so that your marketing effort does not end up in vain. 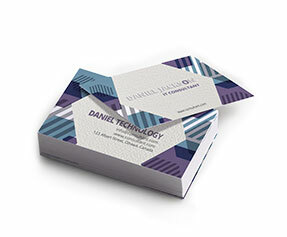 We have a range of folder business card designs for you to choose from. 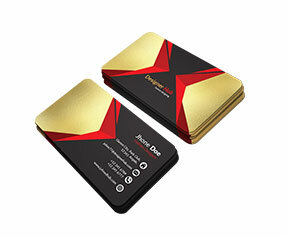 These cards help you market your business with great professionalism. 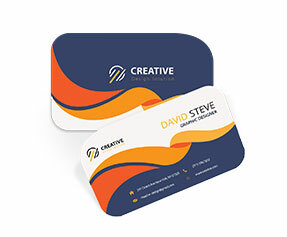 Apart from the common folded business cards we also offer folded cards with extra panel to allow you keep other information within too. You may get the upper fold die-cut as per your business logo or card design. 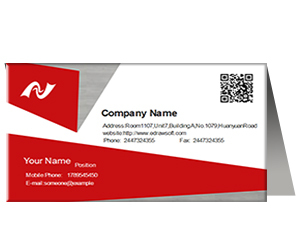 Moreover, foiling and embossing is done to ensure best designs for your business cards. 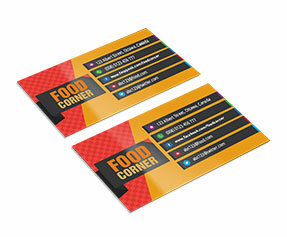 Apart from these features, you may also get these cards spot UV coated on matte lamination for additional elegance and extra prominence. For more information, please ask one of our customer support representatives to guide you through the design and print procedure.